NEW FEATURE!!! 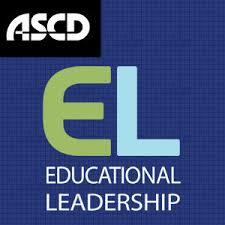 District Deeds TEACHER READS: “1st Day Of School” – What to Do in Week One? How to open the door to a successful teaching-learning dynamic. 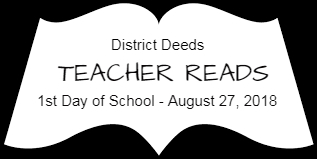 District Deeds wants to welcome all the San Diego Unified Stakeholders – Students, Teachers, Parents, School Site and District Staff, Principals and Taxpayers back to school 2018/2019 with a special new feature titled “District Deeds Teacher Reads”. District Deeds Teacher Reads will be provided on our blog when an important article, report or other information related specifically to Teachers is discovered by ourselves or provided to us by our readers. All SDUSD Stakeholders: If you find any articles, reports or information you believe are important to communicate to our dedicated and skilled Teachers, please send them to us at districtdeeds@gmail.com. All SDUSD Teachers: Please read the articles on District Deeds Teacher Reads and let us know of any topics or areas of interest we should explore for future posts to help you and your colleagues. All SDUSD Parents: Please forward the link to this blog post to each of your kid’s Teachers to show you want to help them help your kids. How to open the door to a successful teaching-learning dynamic. In the school district where I taught for many years, school always began on the Tuesday after Labor Day. Our middle school teaching team, which served 185 students, competed every year to see who could learn every student’s name by Friday. Most years, I won. While students worked in my class, I used memory techniques to review their names. After school, I studied pictures of them. I asked students to switch their seats each day, sometimes even in the middle of class, and then I identified each one of them anew. I practiced naming them as they entered my room and in the cafeteria during lunch. I dared students to try to trick me into associating them with an incorrect name; I bungled a few, and there were a lot of laughs. But by the end of the fourth day of school, I knew all 185 students’ names. It was the first leg of the year’s journey in relationship building. Parents wrote notes and e-mails marveling that I knew their child so well so quickly and predicting that this was going to be a great school year for their child. Of course, I didn’t really know their children yet. But all of us feel honored when others whom we respect think our names are worth remembering. In that simple act, we make a connection. It’s like the Na’vi expression of deep respect in the movie Avatar: “I see you.” When we affirm to each student, “Yes, you exist; I accept all that you are, and I value time in your company,” it opens the door to the successful teaching-learning dynamic so important to academic success. District Deeds is not presumptuous enough to claim we have the knowledge, ability, skill or experience to direct the thousands of highly skilled and dedicated educators in the San Diego Unified School District (SDUSD) . However we DO have experience with how our children have perceived the dozens of Teachers they have had and how their initial perception of those Teachers has impacted their learning. Based on that experience with our children…your students…we strongly recommend all SDUSD Teachers and other educational staff read though this article and select concepts in how to connect with our kids, get to really know them and make them “Feel Safe” to participate in your classroom. And finally, don’t be afraid to ask us parents for information to get to know our kids better. As you already know…we LOVE to tell you about our kids! District Deeds wishes ALL SDUSD Stakeholders only the best in the 2018/2019 School Year! Have a great 2018/2019 School Year!! !